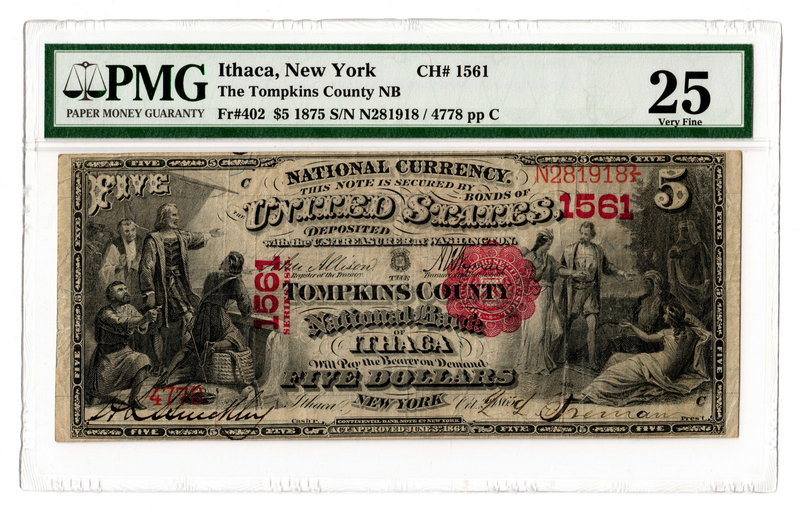 $5 bank note dated 1875 from the Tompkins County National Bank of Ithaca, New York, with a vignette depicting Christopher Columbus in sight of land, left, and a vignette depicting the presentation of an Indian Princess, representing America, to the Old World, right. 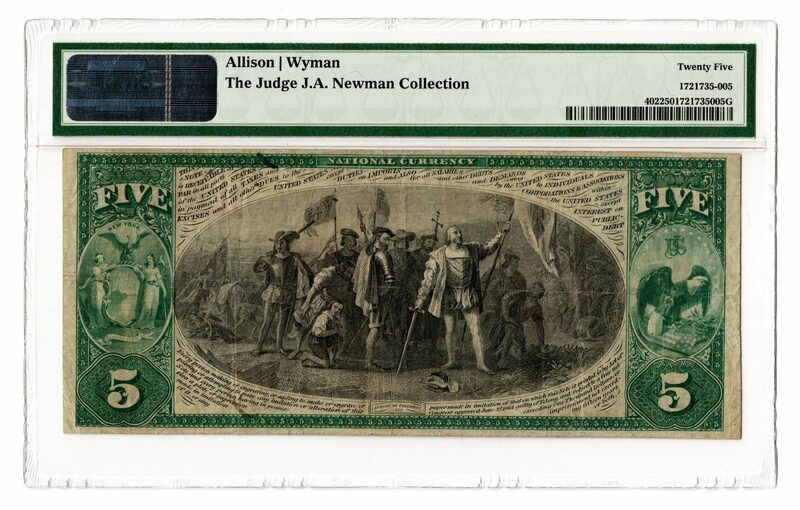 "The Landing of Columbus" after a painting by John Vanderlyn (New York, 1775-1852), reverse. Designed by Charles Fenton and engraved by Charles Burt (Scotland/New York, c. 1823-1892). Serial # N281918/4778 pp C. CH # 1561. FR # 402. Lyons/Roberts signatures. PMG graded, 25/Very Fine. Provenance: the collection of the late James A. Newman (Nashville, TN, 1892-1964). CONDITION: PMG graded: 25/Very Fine.